While reports of Yasser Arafat’s medical condition have varied in the past few days, the seriousness of his illness and the likelihood of his imminent death mean the Palestinian Authority is arriving at a crossroads. For the first time since the peace process began, someone other than Arafat will be heading the Palestinian cause, and how that vacuum is filled will determine the future of statehood. So far, the transition away from Arafat has occurred without major incident. On Wednesday, the PLO executive committee transferred more authority to Ahmed Qurei, giving the prime minister of the Palestinian Authority some of Arafat’s responsibilities for administrative, financial, and security concerns. At this point, former prime minister Mahmoud Abbas is in line to succeed Arafat as head of the PLO, and is expected to handle political negotiations once he is allowed to. (Under the law, no such negotiations can occur while the president is abroad, and Arafat is still the president). 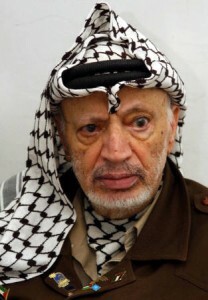 In the event Arafat dies, the Palestinian Basic Law requires the speaker of the Palestinian Legislative Council would fill his role on an interim basis until a new president is elected. As the Council on Foreign Relations notes, “the current speaker is Rawhi Fattouh, a little-known politician who experts say is unlikely to exert much power if he ascends to the post,” leaving Qurei and Abbas to handle the most high-profile decisions. One danger for the future of Israeli/Palestinian relations is the probable entry of more radical elements into the electoral fray. One likely candidate is PLO foreign minister Farouk Kaddoumi, who stayed behind in Tunis when the rest of the PLO leadership relocated to the West Bank and Gaza in 1994. The Jerusalem Post reports Kaddoumi issued a warning this week “to ambitious Palestinian officials, who are jockeying for power” (ostensibly meaning Abbas and Qurei), and wants to succeed Arafat himself. That would be disastrous for peace prospects. Kaddoumi views the two-state solution of the Oslo accords as a “betrayal,” has voiced support for Hamas, is ambivalent about statehood and reportedly has close ties to Syria and Iran. Another possibility is Marwan Barghouti, who the Council on Foreign Relations calls the most popular politician other than Arafat, according to polls. He’s a member of Arafat’s Fatah party, and is a generation younger than the aforementioned men. The problem here is Barghouti was convicted in May for three terrorist attacks, and is serving five consecutive life terms (plus 40 years) in Israeli prison. Not only would he have to govern from prison if elected, but his long record of anti-Israel violence (he has been acquitted of 33 other murders because of a lack of evidence, and was a leader of the first intifada) would be a severe barrier to any sensible negotiations. What Haniya’s plea doesn’t mention is that the current Palestinian leadership has nothing to gain by inviting Hamas into such a coalition, other than sparking Israeli anger and/or giving Hamas leaders governing credibility they could use in the coming election. Hamas has become an increasingly powerful political force, particularly in Gaza, and a split vote among more moderate candidates could provide an opportunity for Hamas. No matter who becomes the new Palestinian leader, he won’t have the same often-teflon authority Arafat commanded as the “father of the nation.” There’s a danger that Palestinian leadership could undergo the same wild back-and-forth swings from pro-peace prime ministers to hardliners that have marked Israeli leadership since a right-wing extremist assassinated Yitzhak Rabin in 1995. “Arafat’s demise will certainly increase the pressure on Israel to put off the disengagement plan from Gaza and northern Samaria. The reality after Arafat requires the opposite response — to keep or even escalate the disengagement timetable. To this point, Sharon has ordered members of his Cabinet to avoid public speculation on Arafat’s health. As noted here this summer, Israel officials have already studied a list of worst-case scenarios for what might happen after Arafat’s death. Now that the moment seems on its way, and the whole world is watching what happens next. Israel (and the United States) have refused to deal with Arafat in recent years, and should take the transition as a fresh opportunity to negotiate a fair, peaceful two-state solution. Palestinians’ choice of leadership will play a large part in whether that’s possible.